Dr. Beckett serves as a contributing faculty member with Walden Univeristy where he was taught since 2013. He holds a Doctorate in Business Administration from the National Graduate School, where his research focused on process design and improvement in the public sector. His research also explored the realms of technology and information management and their relationships to such processes. Dr. Beckett holds a Master of Science in Information and Telecommunications Systems Management from Capitol College with a concentration in Information Assurance with a Bachelor’s degree is from Bluefield College in Criminal Justice. He also holds the Certified Information Systems Security Professional (CISSP), Project Management Professional (PMP), and ITIL Expert certifications. 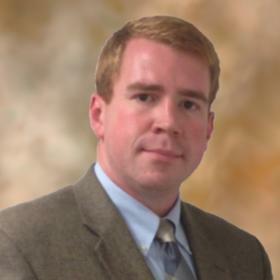 Dr. Beckett serves currently serve as a Director of Information Technology at a public university. He also has extensive experience teaching and developing curriculum in business, management, and information technology. Prior to entering the technology field, he worked in law enforcement for several years and eventually transitioned to technology-related roles.